Approximately 25,000 cost-efficient Chinese cars will reportedly be recalled in Australia because some parts were discovered to contain asbestos. The company responsible, Great Wall and Chery may be compelled to recall almost all the vehicles sold- which are believed to contain the deadly substance in engine and exhaust gaskets. 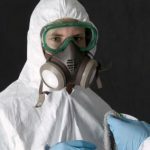 The importers in Australia, Ateco Automotive, has been aware of the issue for “a period of months” and has been devising a plan with government departments to deal with the asbestos contamination.